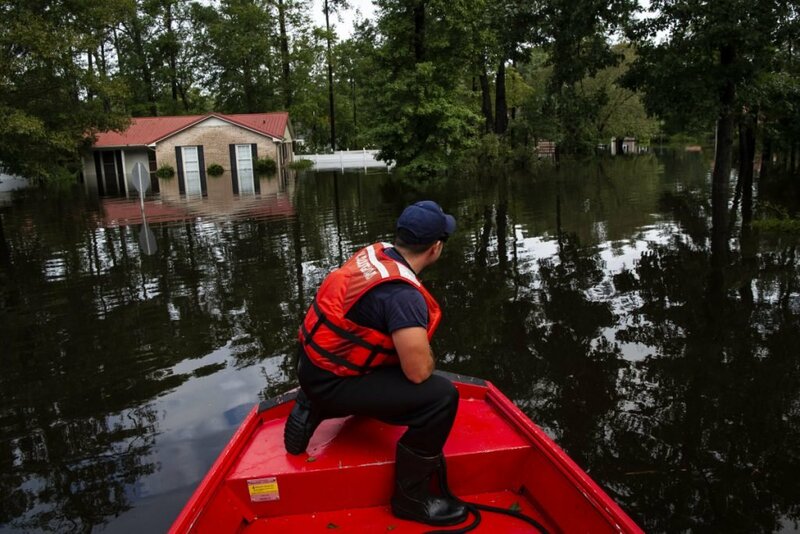 Hurricane Florence, now downgraded to a tropical depression, has killed at least 19 people and continued to cause destructive flooding down south. Kaylie Conti and her husband, two dogs and a cat evacuated their home in Wilmington, North Carolina, as Hurricane Florence approached last week to stay in Durham, more than 150 miles north. The former resident of Winslow, Maine, said Monday that Durham has been “extremely fortunate,” even as the storm — now downgraded to a tropical depression — deluged their home with heavy rainfall and destructive flooding. “We’ve been in our own little bubble in the northern part of the city, barely any wind or rain,” Conti said via email Monday, adding that the floodwater had reached her neighborhood in Wilmingtom on Sunday and officials were beginning to evacuate residents who tried to stick out the storm. 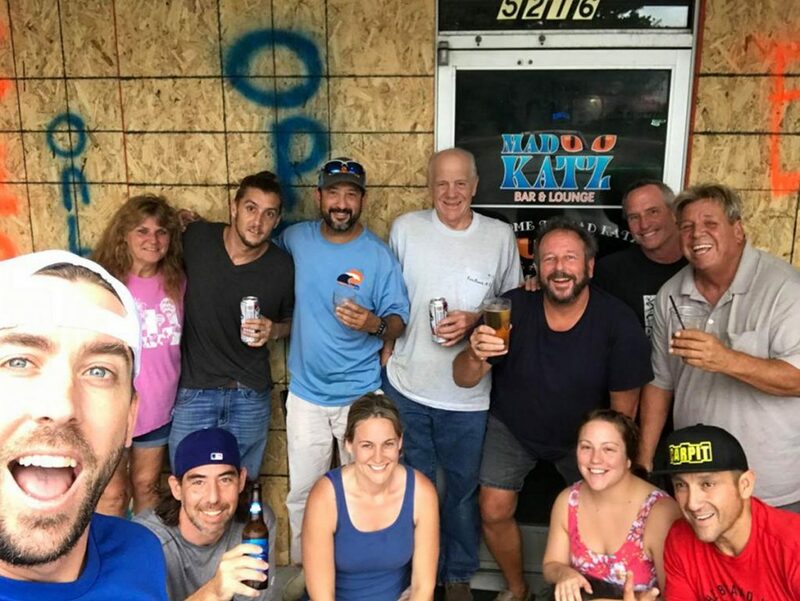 Conti is among a number of people with central Maine ties who are caught up in the wrath of Hurricane Florence along the southern part of the east coast. The storm, still dumping rain on the Carolinas and states to the west, has caused millions of dollars in damage as emergency officials scramble to get help to those who need it. A number of people who spoke with the Kennebec Journal last week said that they are OK and the clean up is beginning in the hardest-hit areas. Early Monday, the storm was still pouring rain across six states and had a top wind around 30 mph. It’s expected to head northeast, eventually dissipating around northern New York. Residual precipitation and high surf could make its way into Maine this week. Floodwater was still rising in areas of North Carolina, where Florence touched down late last week. The Associated Press reported at least 19 people died as a result of the storm. In Wilmington, roads were flooded and access for emergency responders was cut off. Officials were planning for food and water to be flown into the city. Before access was cut off, 23 truckloads of military meals and bottled water were delivered to Wilmington. Conti said she and her husband are leaving Durham to volunteer in Raleigh to help more than 150 dogs that were evacuated in the storm. Tim Cramer, formerly of South China and Waterville, planned on riding out the storm in his second-floor apartment in Wilmington. Cramer said Monday that he was “surviving” and he was without power. David Harland, formerly of Augusta and Hallowell, now lives near Lake Wateree in the Columbia, S.C. metro. He said high wind and heavy rain battered his home, but no loss of power as of Monday morning. “We’ll flood later tonight but only a couple feet which won’t affect our home, just dock and lawn,” he said in a Monday email. John Cordts, of Lisbon, a volunteer who was setting up an emergency shelter for the American Red Cross in Dublin, Virginia on Friday, said he was on standby in southwestern Virginia. Since Dublin is about 100 miles inland and far from the storm’s initial impact area around Wilmington, Cordts could be deployed to a harder-hit area.